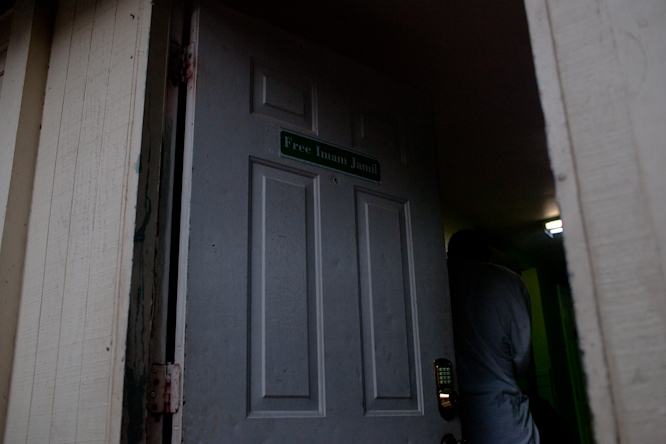 The backdoor of the mosque has a sticker that reads "Free Imam Jamil." It’s been over 11 years since Imam Jamil Al-Amin, known during the Civil Rights era as H. Rap Brown, was arrested for shooting two Atlanta officers. 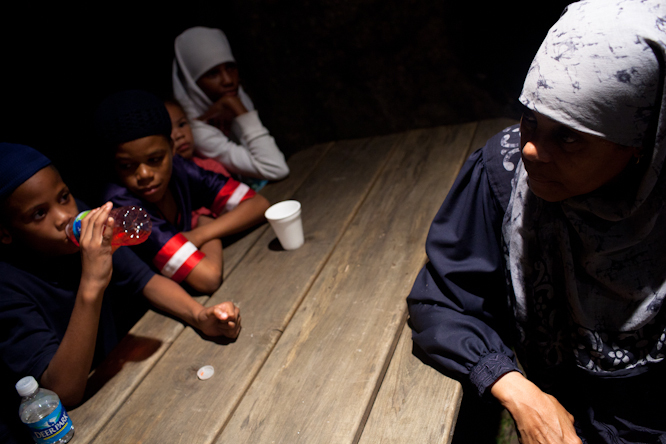 His wife Karima of over 43 years spoke with me, folding her hands in her lap and opening up about how she deals with his controversial conviction. 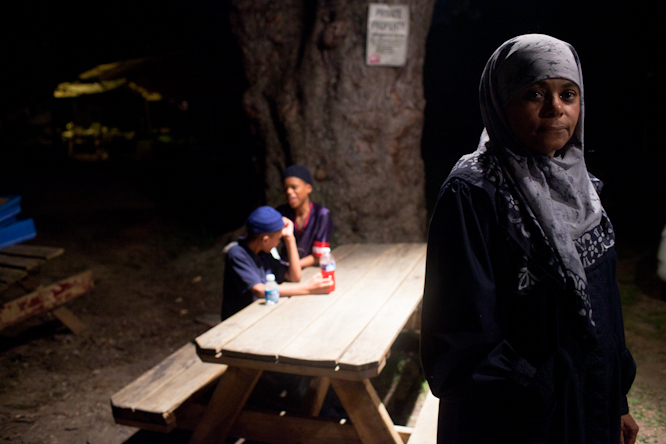 Karima Al-Amin stands outside of the mosque. 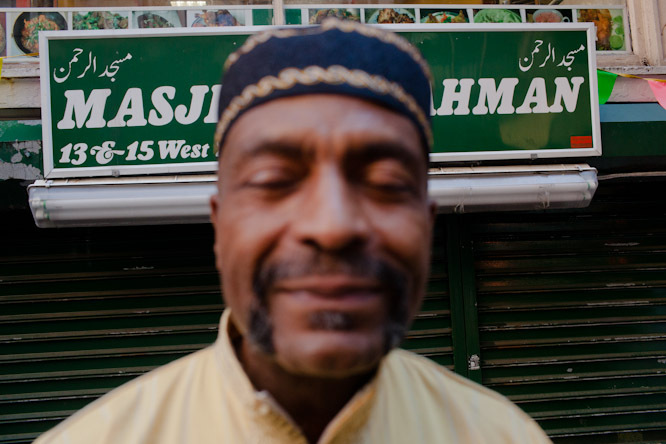 I first learned about Imam Jamil in high school through hip-hop. Public Enemy put out a track in 2002 where Chuck D says “Jamil Al-Amin, nah’ mean?” Well, a kid like me from a white Ohio suburb didn’t know what he meant, so I Googled the name. Before he was Muslim, Jamil Al-Amin was H. Rap Brown, a civil rights activist and chairman of the Student Nonviolent Coordinating Committee. He was controversial for his views on race and was often accused of inciting riots. In the 1970s, he and his wife embraced Islam and established a mosque here in the West End of Atlanta. 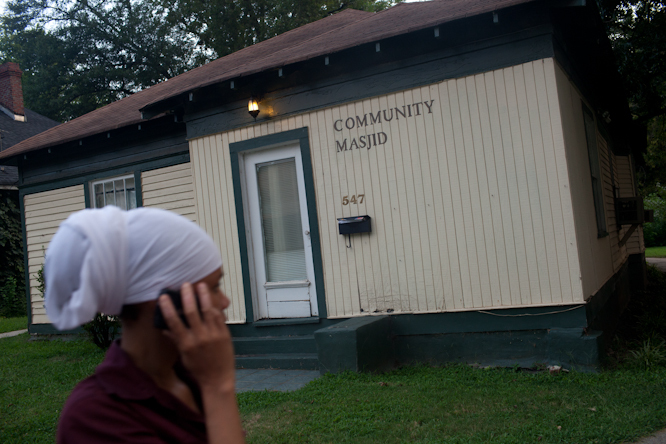 It was one of the first mosques in the area to hold the five daily prayers in Islam known as salat. Among many things, the mosque under Imam Jamil’s leadership cleaned up crime in the neighborhood and many convicted criminals abandoned their pasts and embraced Islam. On the national level, he tried to bring many national Muslim groups together. I asked the current imam of the mosque, Nadim Ali, what it was like to deal with Imam Jamil getting locked up. 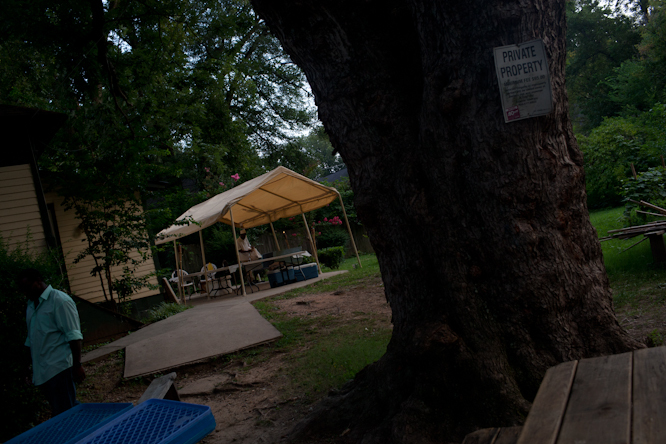 The following are photos from the mosque community that Imam Jamil help start. 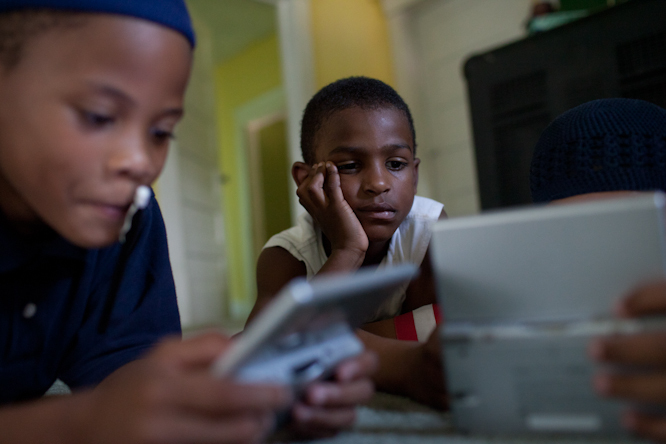 Taayeb watches his friends play Nintendo DS as he waits to break fast. A congregant checks the time inside the mosque. The back of the mosque. Congregants break fast under the tent. You can read all about Imam Jamil here and about his controversial arrest and conviction here. It’s important for us to go beyond the headlines and explore his relationship with his wife and his spiritual impact on the people that know him. Since the beginning, Karima said Imam Jamil has always been a political target. She said she never worried about his safety fielding death threats and getting arrested after speeches because it came with the territory of being a public figure at the time. She added she felt the same way when he was arrested in 2000. The family had just returned from a dinner at Red Lobster when Imam Jamil went to the mosque to lead prayer and check up on a local Islamic goods store nearby. Moments later, Karima, who is also a practicing attorney, learned he was arrested. I told Karima I’m sure dealing with the arrest ever since has been a rocky journey of emotional ups and downs for her. Imam Jamil was first incarcerated in Georgia. 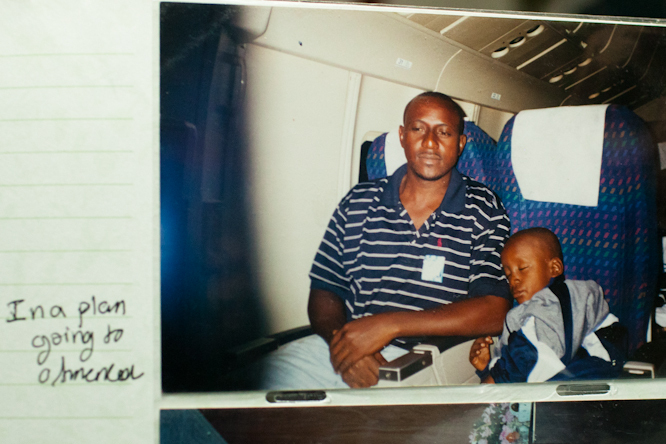 Many people he met while in prison embraced Islam after living with him. 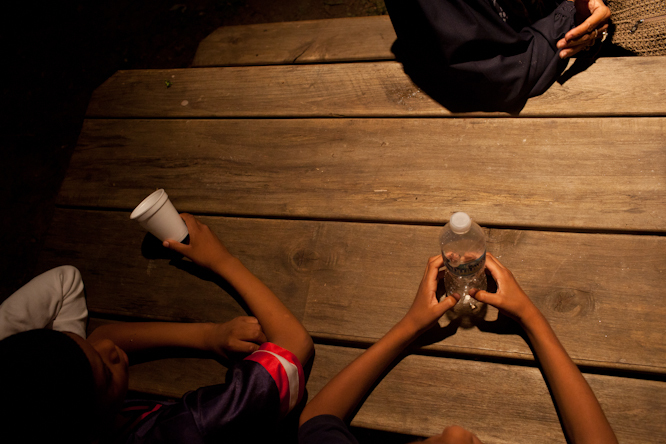 In 2007, the federal government intervened because they felt he was too high-profile of a person to be locked up in Georgia. So they transferred him to the Supermax Prison in Colorado. Regardless of how you feel about Imam Jamil’s history, it seems way excessive to me to lock him up in the same prison as Terry Nichols, the Oklahoma City bomber, Ted Kaczynski, the Unabomber, and several other convicted terrorists. 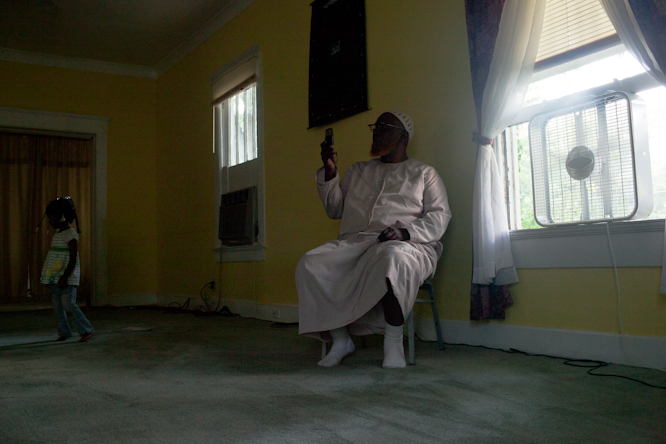 Supermax gives Imam Jamil two phone calls to make a month. Karima said she and her son try to visit him in Colorado whenever they can, but shelling out around $2,000 each time to travel there gets costly. 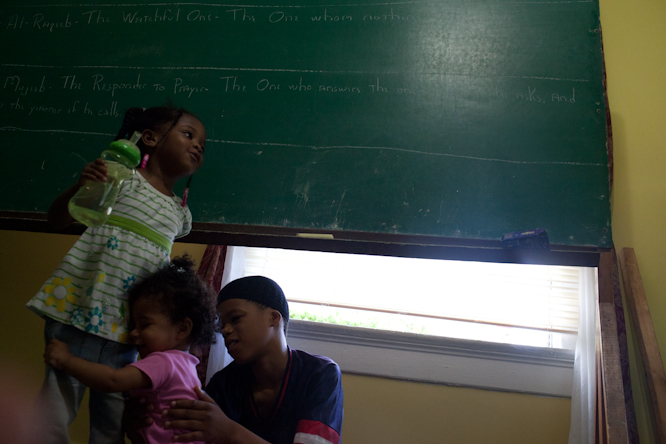 Many people write Imam Jamil letters, including one of the mosque’s congregants here Qaasim Griggs, 8. Qaasim told me he learned about Imam Jamil from one of his uncles and wrote to Imam Jamil about how he liked his name. The imam wrote back. Horsing around while waiting for break fast. 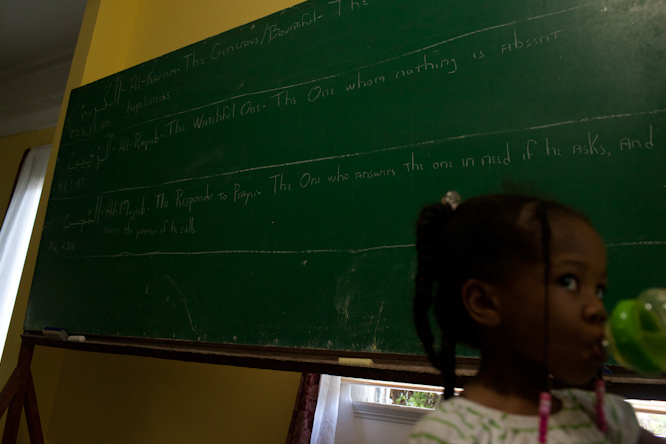 Attributes of God are described on the chalkboard. I asked Karima after over 43 years of marriage, what is it that she loves about Imam Jamil. Keep enlightening us about the african american muslim communities nationwide, their stories have not promulgated through our communities enoug. Salaams Bro Aman, we (African Americans–particularly African American Muslims) know these stories but I think it so important that you continue to highlight the first Muslim community in the this country and so many other diverse (both ethnically/class/sect) your writing are beautiful and I hope you compile all your collective blogs of the ummah during your 30 day sojourn in a book–get it published to finance next years Ramadan project. Thanks for sharing; so insightful. great insightul stories you guys should stop by in gastonia north carolina one your way up after york sc, just for a little while see the little community we have. I am really disconnected from the African-American Islamic experience, other than the maybe 3 or so who I know well enough to call friends. How do I reach out? Start by frequenting the masajid in your area that serve the inner city, and getting involved in the programs that are established. jazakallah khair. Wow I also rememeber when this case first came out – and then you just stopped hearing about it. I had no idea he had been transferred to Colorado – its so sad how the greater Muslim community has completely forgotten about this great leader. As long as I can make my five, Im gonna be ok. My new motivation line! MashAllah, what a beautiful interview and profile with commitment to the deen as the star. Keep on writing the untold stories of American Muslims! MashAllah, truly inspirational…Allah has a plan for everyone and I find the wife’s strength and resolve in Allah’s plan refreshing in a time of mostly whiners. Subhanallah, perhaps the imam will move more hearts in the prisons and turn some of those other hearts around to true Islam…May Allah bless you, the imam, his family, community, and the entire ummah–Amin! Alhamdulillaah I finally read about Imam Jamil, it feels liberating. I guess I was afraid all this while how I will handle it if I read up and find him be ——? Guilty? May Allaah give him strength and steadfastness and certainty of the deen. Thanks for posting this brothers. All good things happen in fives. This gentleman has manifested the power of five prayers in the simplicity of the belief that: “As long as I can make my five”. I LIKE this phrase! my community!!! so many rich stories to share with you all. inshAllah it’s coming! Makes you feel guilty for missing salat! I’ve always heard of Imam Jamil with regards to politics or his incarceration – without minimizing that aspect of his message, it is wonderful to hear about his spiritual side. ok so i’ve got each and every coach possible to acquire with regards to dont like for you to brag so don’t take on which considering that bragging! by far and away with the most effective coach in fact! evryone i see alleges omg my hubby and i got to provide men and women! you need these! most are 100 % really worth the resources!